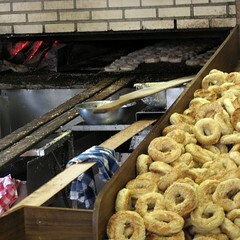 The smells from the wood-fired oven rush at me even before I step inside Fairmount Bagel. I barely squeeze through ceiling-high racks of bagged bagels, lining up along the fridges full of cream cheese and spreads, listening to the happy chatter of the bakers. When my turn comes, I’m sweating from the oven heat. The girl at the counter picks up a handful of bagels, fresh from the oven pile. When she hands me the bag, it’s nearly too hot to hold. Outside, the breeze flushes away the steamy air, but the smell lingers. I take a bagel out, holding it at fingertip, careful not to burn myself, and bring it to my lips. I’m a Montrealer, and we’re proud of our bagels. Eastern European Jews brought it with them a century ago, and the recipe found a new home in the multicultural area known as Mile End. 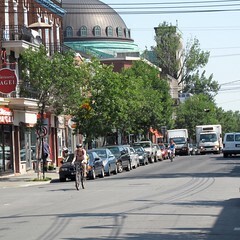 Mile End today stands as a testament to Montreal’s cultural diversity. 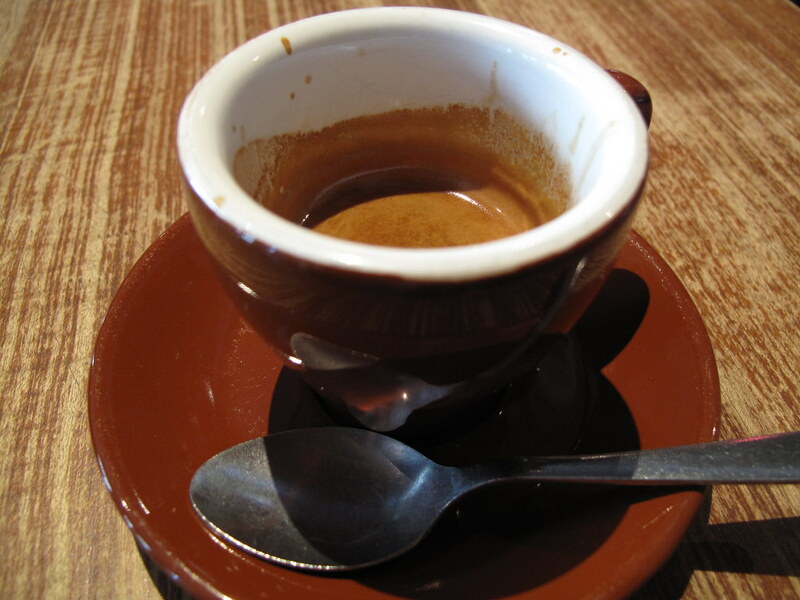 Order an espresso at Italian café Olimpico, and sit at the window: outside on rue St-Viateur, you’ll witness the peaceful coexistence of Greek workers, hip, young videogame designers, hijab-clad mothers, and Hassidic schoolboys. Mile End doesn’t assimilate its immigrants: it celebrates them. It’s no coincidence that Mile End is home to a staggering number of Montreal food institutions. Within walking distance of one another, you’ll find the Wilensky Special with its mandatory dash of mustard, Olimpico’s old-school cappuccino, Serrano’s mouth-watering Peruvian rotisserie chicken, Clarke’s sandwiches, and New Navarino’s delicious baklava. And then there’s bagels: a mere five blocks separate Montreal bagel legends Fairmount Bagel Bakery, and St-Viateur Bagel Shop. 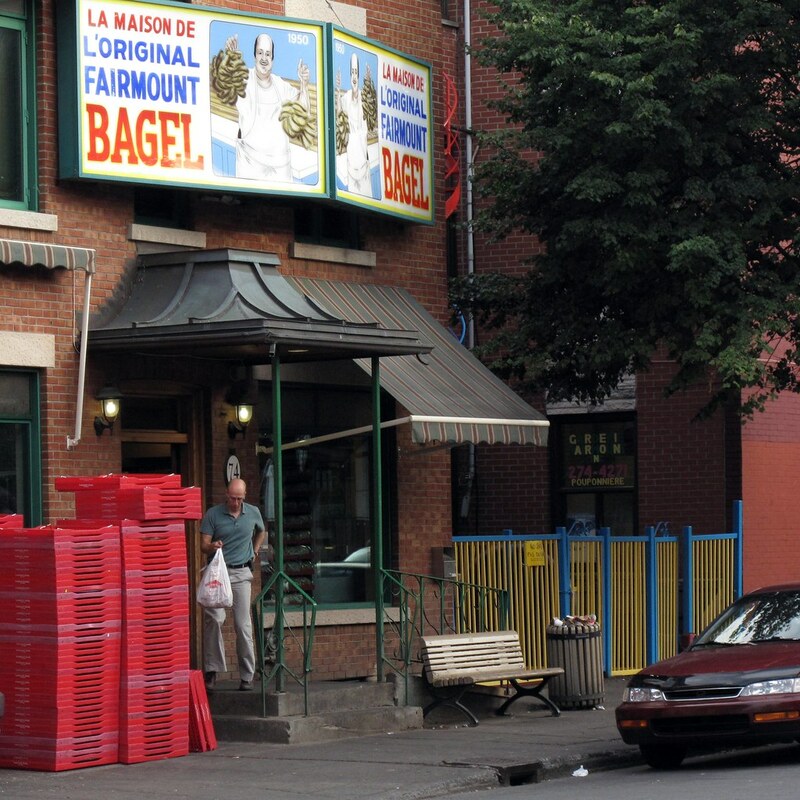 The question of whether St-Viateur or Fairmount offers the best bagel in town is under intense debate. The truth is, there are more similarities than differences between the two. The Montreal bagel is a distant cousin to the New York bagel, their differences owing to regional preferences back in Eastern Europe. 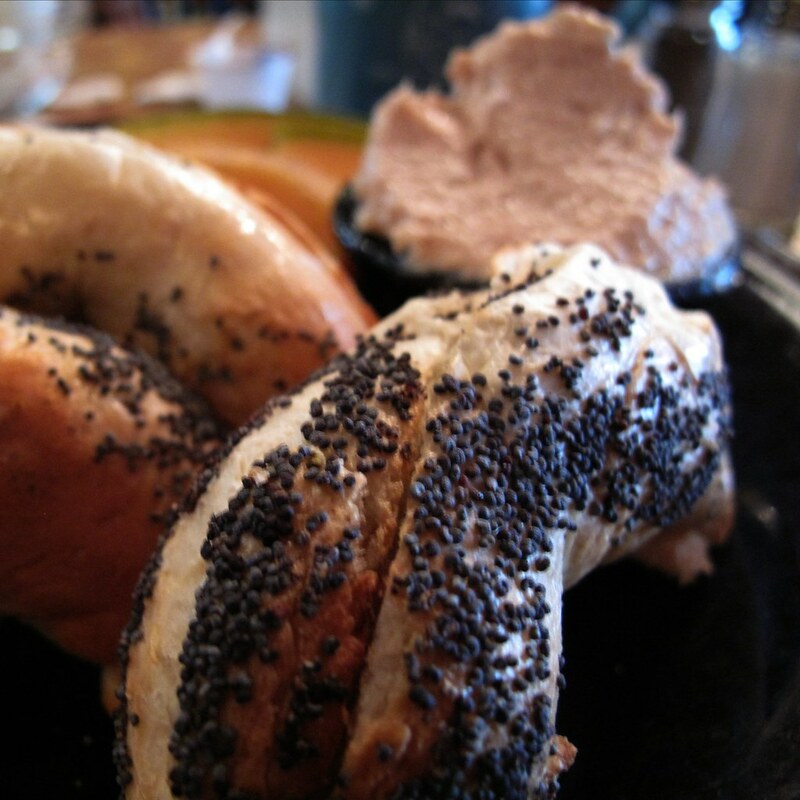 The Montreal bagel recipe produces a sweeter, smaller and less doughy bagel, typically covered in either sesame or poppy seeds. Whether you buy your bagel at St-Viateur or Fairmount, you get a chance to observe the wood-fired oven in which the bagels are baked. The expert bakers hand-roll the dough at the shop, then poach them in honey-sweetened water before baking them in the deep oven to a golden finish. According to Jewish historian Joe King, the first man to bake a Montreal bagel was Chaim Seligman, who sold his bagels on the Main from the back of a horse-drawn carriage. Seligman went in business with two men, Myer Lewkowicz and Jack Shlafman. 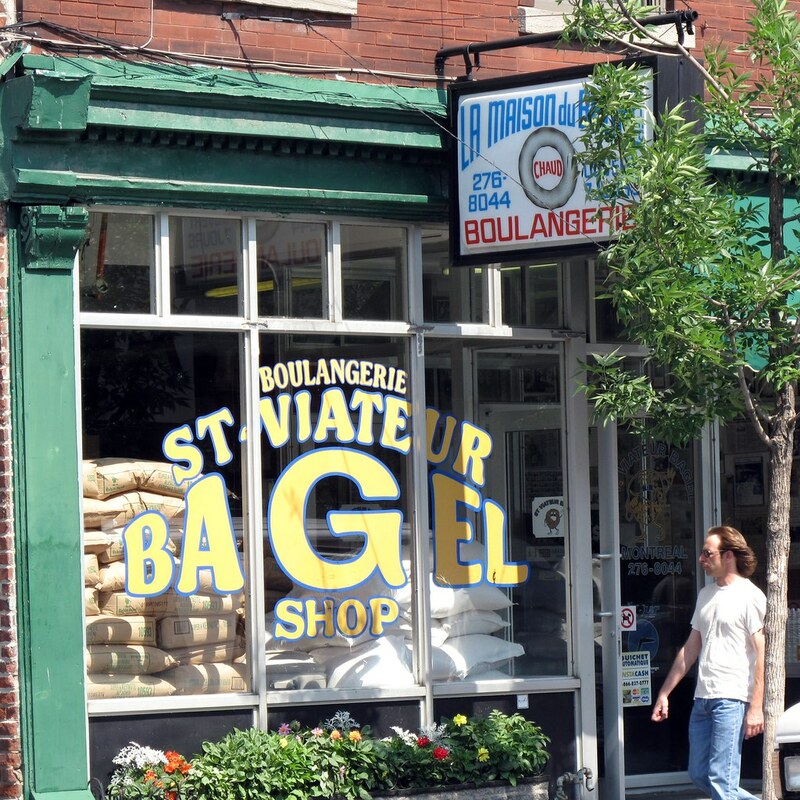 Seligman and Lewkowicz founded St-Viateur Shop; Shlafman went on to found Fairmount Bagel. Fairmount Bagel’s sign pays hommage to Seligman’s practice of stringing bagels together for sale by the dozen. 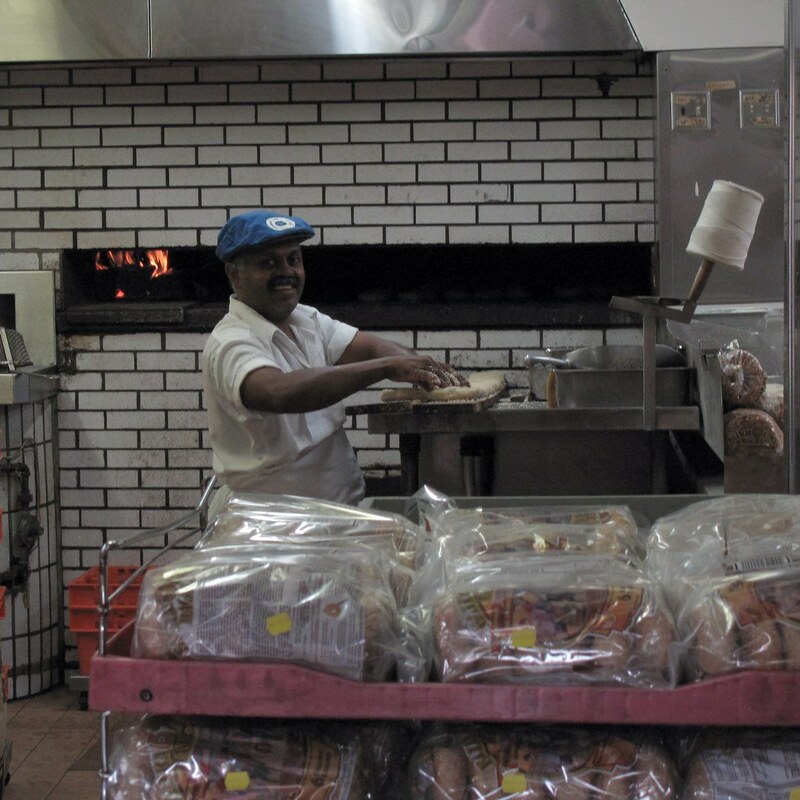 The St-Viateur Bagel Shop, at the corner of avenue du Parc, has changed little in its fifty-two years existence. That is not to say that the business itself hasn’t adapted to Montreal’s unique beat. Love for the fresh bagel reaches eastward out of Mile End, to the heart of the posh French-speaking district known as the Plateau. Once the home of immigrants, artists and students, the Plateau’s thrift shops and discount pizza joints have mostly given way to French-inspired restaurants and sophisticated cafés. St-Viateur Bagel & Café adapts the St-Viateur formula to a Plateau crowd. In this cozy café setting, the smells of fresh ground coffee mingles with that of baked dough. 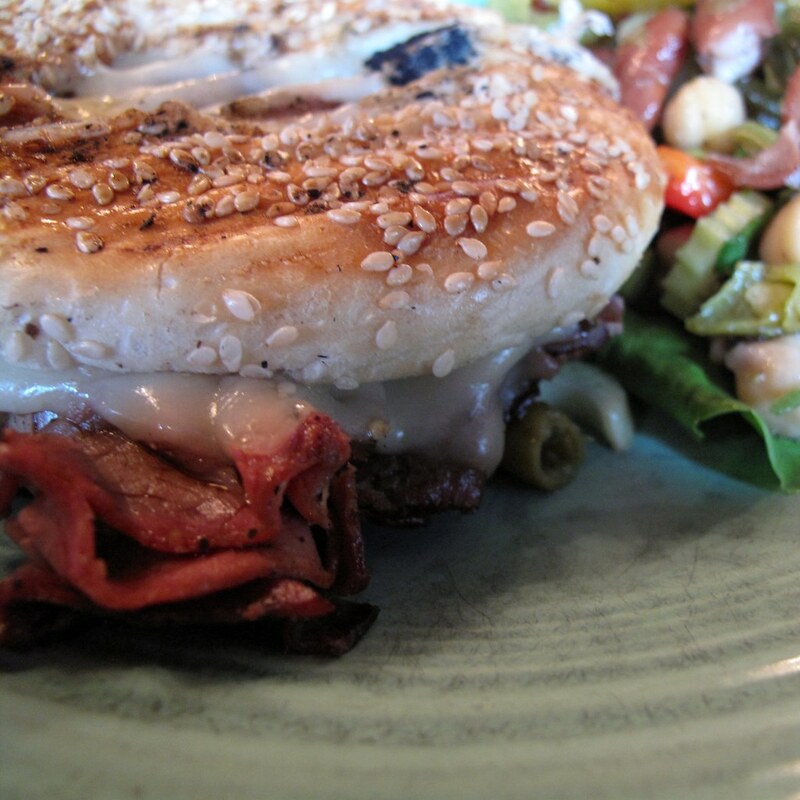 The café offers toasted bagels with a variety of spreads for breakfast, and tasty grilled bagel sandwiches for lunch and dinner. To sit at St-Viateur Bagel & Café is to appreciate a great quality of Montreal: how the city can remain true to its roots, yet blend them all into a joyous art de vivre that is at once simple and sophisticated, Quebecois and Jewish, old world and new. As I finish my fresh Fairmount bagel, I brush the sesame seeds from my fingertips. The area pigeons, grown for generations on a sesame diet, crowd me for an impromptu snack. Eating that one fresh Fairmount bagel is my required ritual every time I’m in town. The simple, wholesome taste brings to my mind the beauty of tradition, and the richness of Montreal’s roots. It reminds me that we are stronger when we celebrate our differences than when we try to stamp them out. But above all, it reminds me that wherever I might live on the planet, as long as the Mile End ovens bake their bagels, I will call Montreal home. 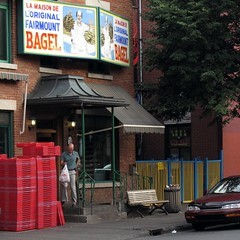 Fairmount Bagel Bakery can be found at 74 avenue Fairmount Ouest, near rue Clark. 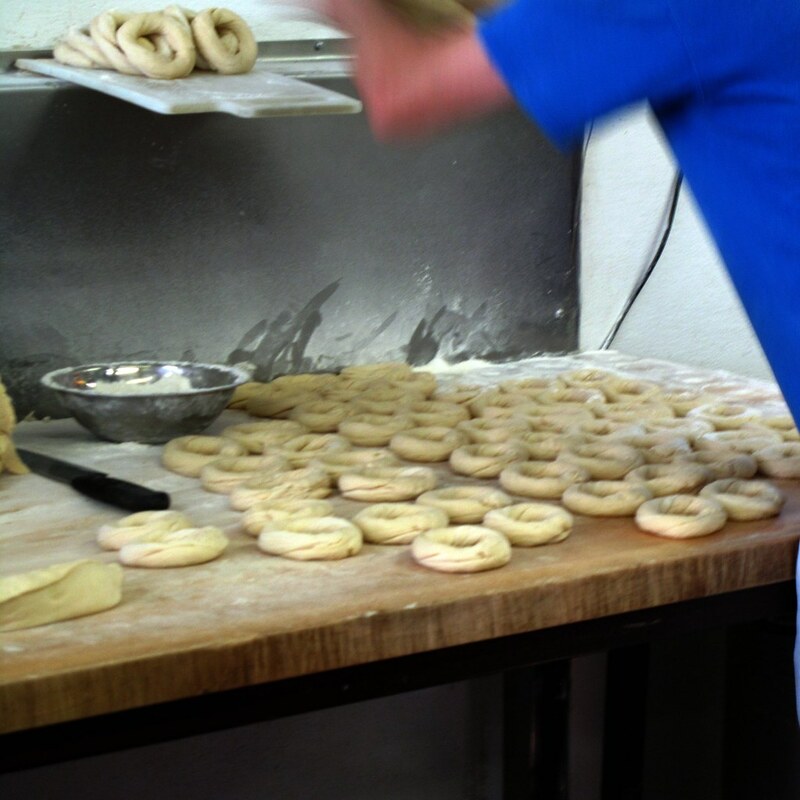 It is open 24/7, and since it bakes bagels for customers as well as wholesale, you can always catch a bagel fresh out of the oven at any time of the day. 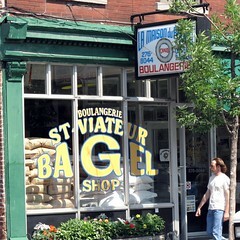 St-Viateur Bagel Shop is located at 262 St-Viateur Ouest, at the corner of Avenue du Parc. It is also open 24/7. 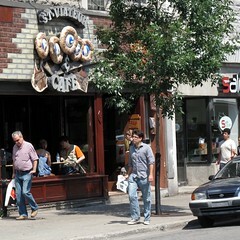 St-Viateur Bagel & Café can be found at 1127 avenue Mont-Royal, near avenue Christophe-Colomb, as well as in NDG, at 5629 avenue de Monkland. 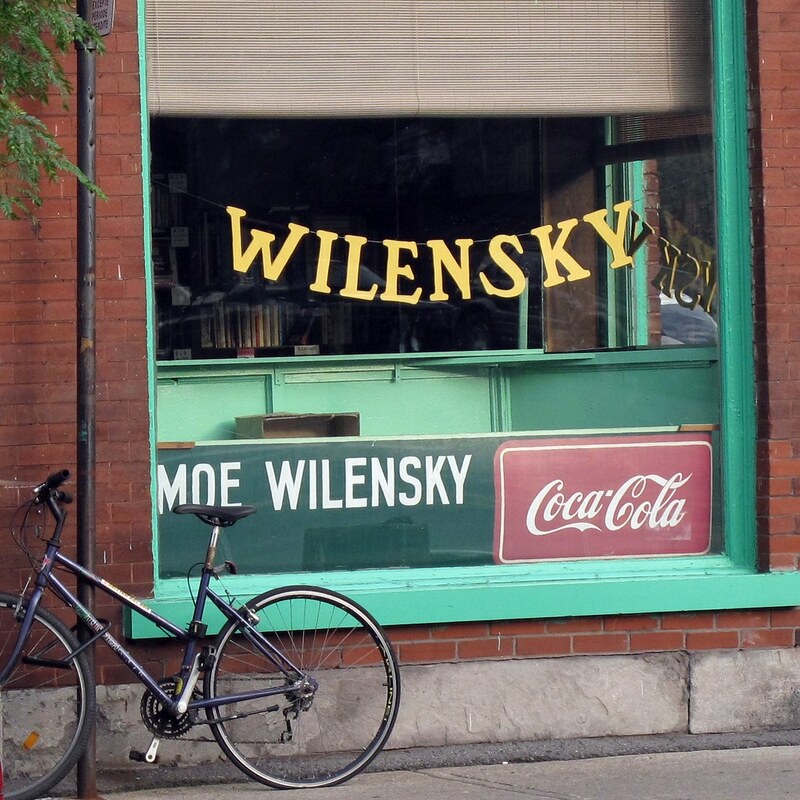 Wilensky’s Light Lunch is located at 34 avenue Fairmount Ouest, one block east of Fairmount Bagel. New Navarino can be found at 5563 avenue du Parc. Olimpico, Boulangerie Clarke, Serrano, and many other amazing shops, restaurants and cafés are all located on rue St-Viateur, between avenue du Parc and St-Laurent. If you have a Mile End favorite that I forgot to mention, please enlighten me and this blog’s readers by sharing it in the comments section! I have to agree! Fairmont is an awesome bagel shop. I also love the artsy cafe up the street, but I don’t remember the name. We bought a bunch of bagels at Fairmount Bagel today. It was 32 degrees outside with the Humidex, and just stifling in the bakery, but it was well worth the extra sweat. Best bagels in the world! Oh, one more thing, Dan: can we go grab a bite at Wilensky when Hélène is in town? I’ve been wanting to go there for ages (we almost did today). 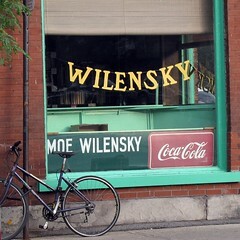 Julie: I’d be delighted to go to Wilensky’s with you and Helene. I’ve been there only once, and it was a strange, fascinating experience. Would love to try it again! Maybe John is thinking of Café Esperanza (now called Cagibi), in front of Ubisoft? The Montreal delicacy that you are truly missing is Mount Royal Bagel..who carries the best bagels in the world. This place, Mount Royal Bagel is home to the most incredible bagel, far superior to St.Viateurs, Fairmonts and all others..which trust me, ive tried. Ive had em all, I am a bagel and food lover..and these Mount Royal Bagels have definetly won my heart. If you ever pay a visit to Montreal, they are must not miss treat! You dont even need to go all the way their in fact, they ship to anywhere!! The number is 1-877-LEBAGEL, easy for me to remember and its toll free. No more missing out on Montreals finest!! Mount Royal Bagel Bakery is Montreal’s BEST BAGEL SHOP! I cannot stress that enough. If I had to pick one obsession, it would be their bagels. Daniel, we just cannot underestimate the value of a well-made bagel, can we! I’m afraid my preference lies with the chewier, less sweet New York Bagel–seems to fit savoury toppings better–, but even that’s becoming an endangered specie. How dismaying it is today to buy a bagel only to find out it’s sweet fluff–a sort of Wonderbread of the Bagel that would make Chaim Seligman turn over in his grave. Are any people outside Montreal uniting to save the sanctity of the bagel from the corruption of multi-national bakeries? I used to look down on New York bagels as some sort of inauthentic, inferior cousin to the Montreal bagel. As I illustrated in this blog post, they’re just two variants of the same basic Eastern European recipe. Besides, I’d rather have a NY bagel than a Wonderbread abomination any day of the week. By the way, I had fresh bagels in Jerusalem as well (the newer, Israeli part) and although they were really good, I still would say they come in third place behind NY and Montreal. Oh my goodness, Montreal bagels are out of this world! 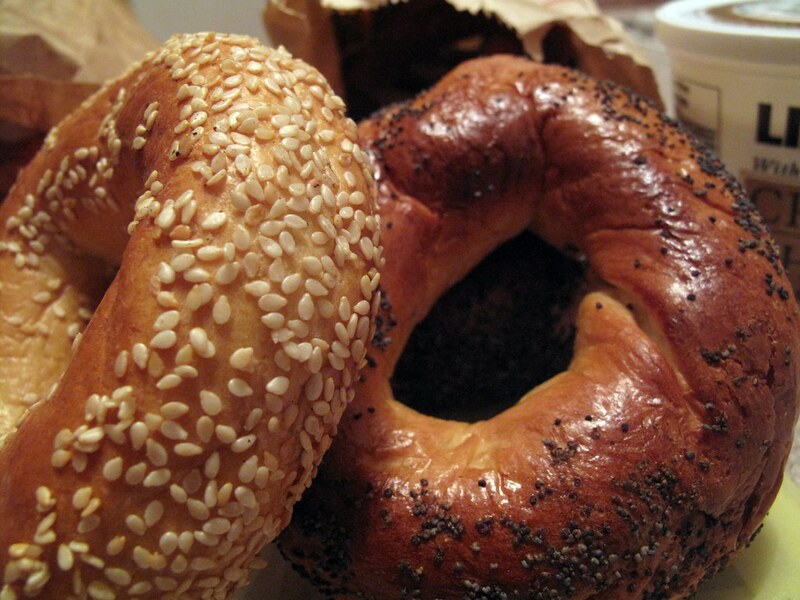 The best I’ve had were at Mount Royal Bagel Bakery, for all bagel fanatics – I highly suggest trying them!